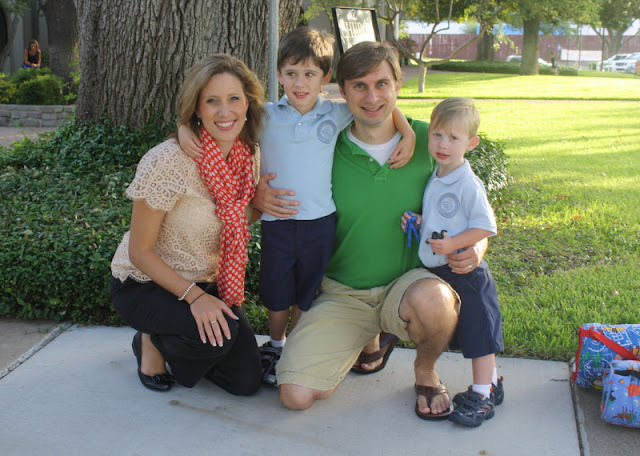 A family picture on the first day of school! This is going to be a great year! 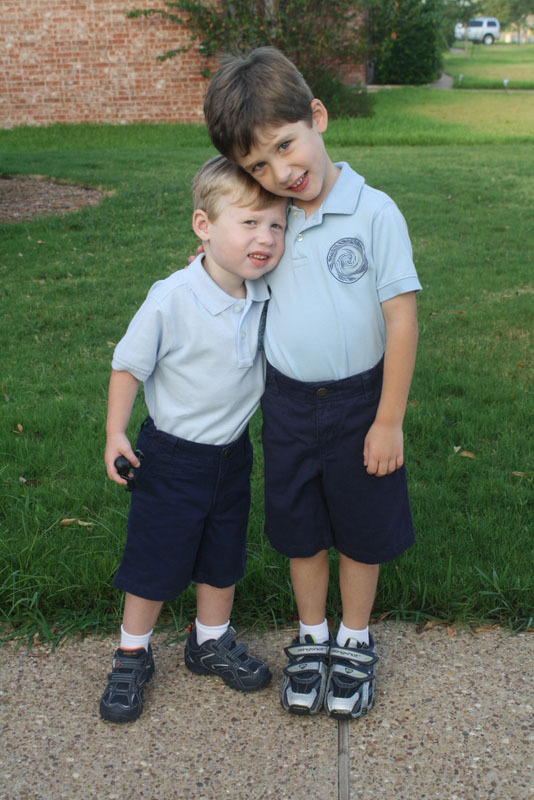 Oh my goodness, they are just too cute in their matching uniforms! Can't wait to hear more about their adventures! CUte pictures! How was the first day?! Hope they both loved it!